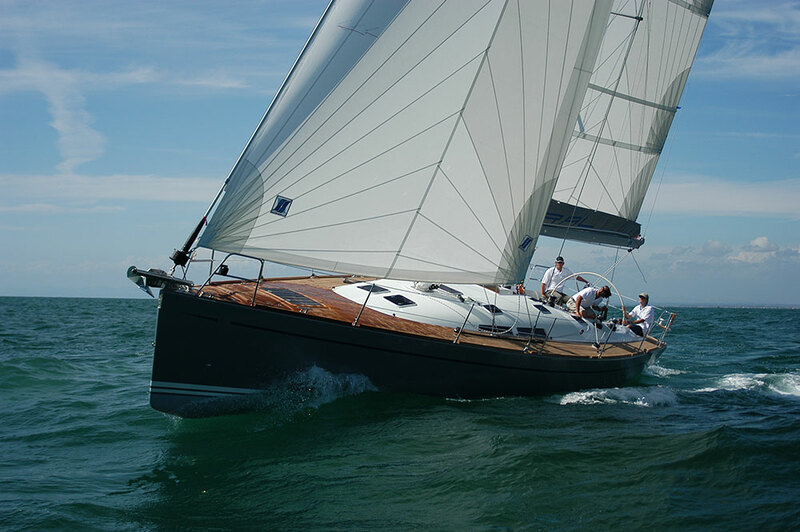 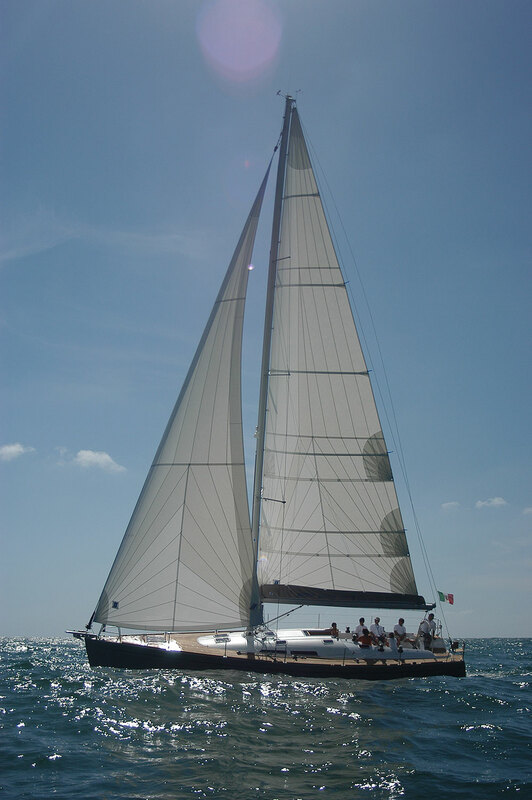 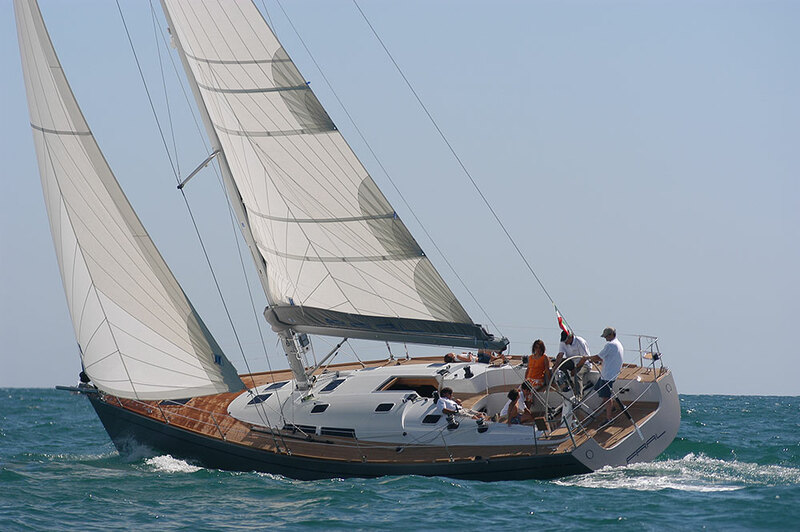 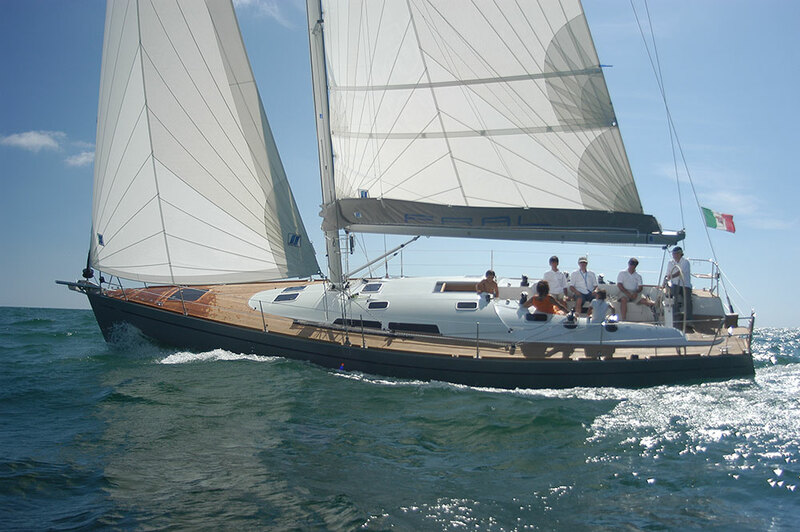 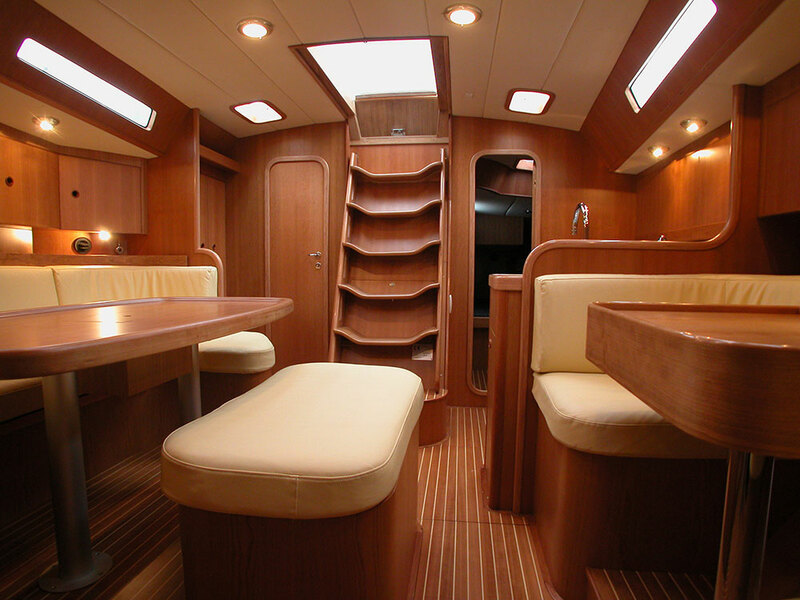 Launched in the wake of the success of the 51 S , the Comet 45 S reflects same general design principles and style. 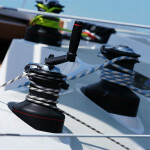 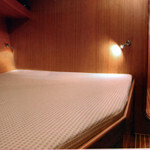 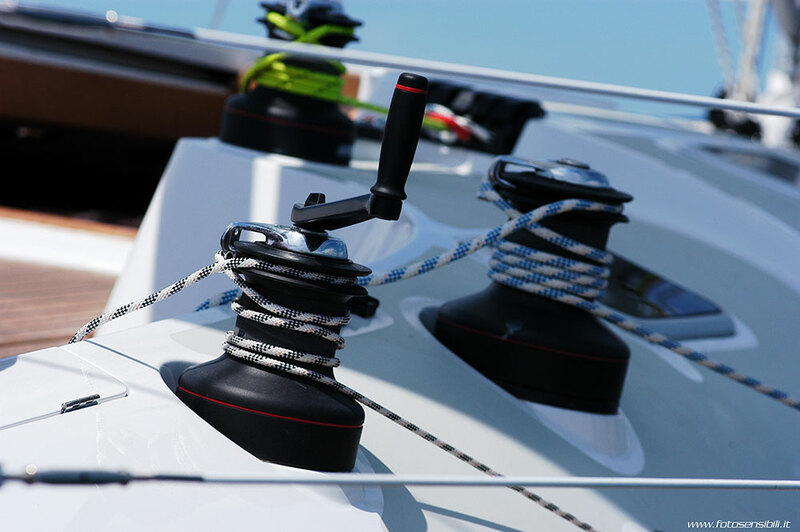 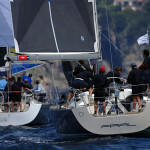 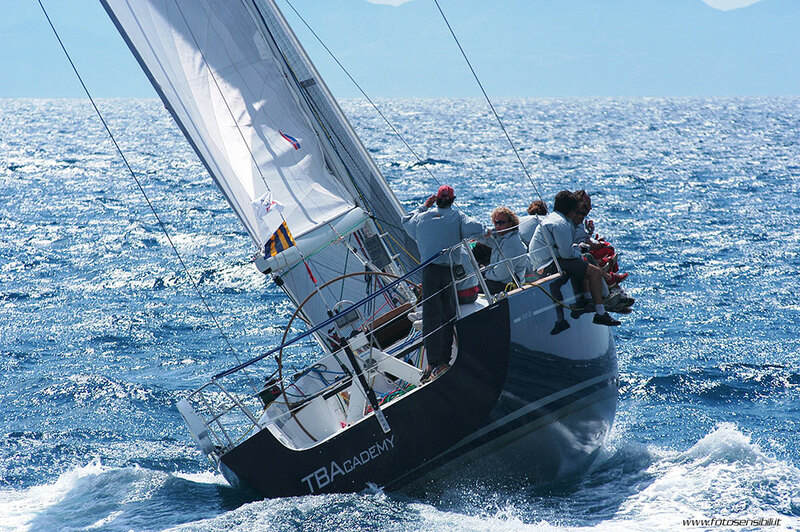 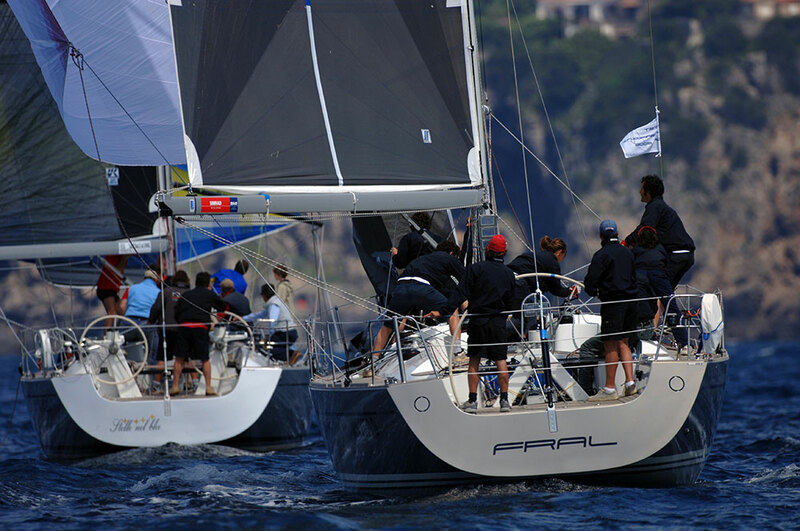 The hull was designed specifically with the idea of improving performance. 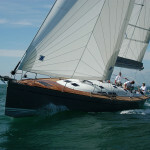 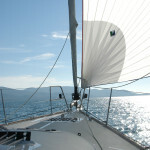 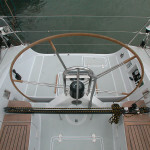 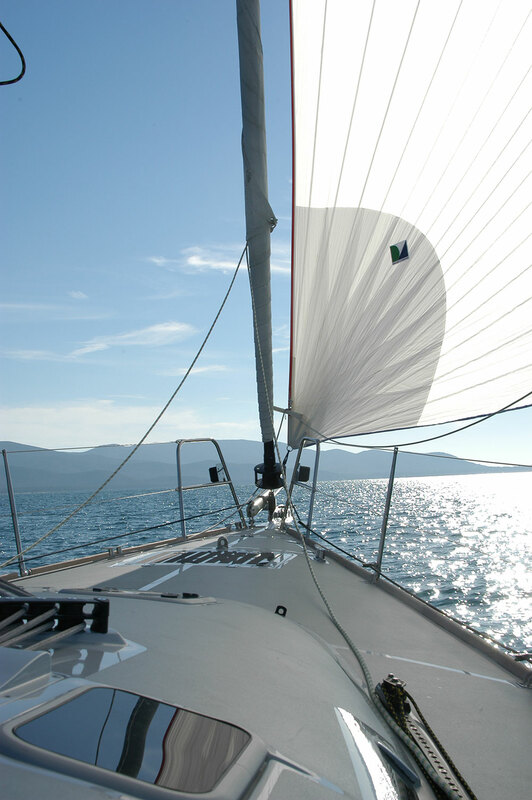 The bow and stern are both vertical to increase the waterline length. 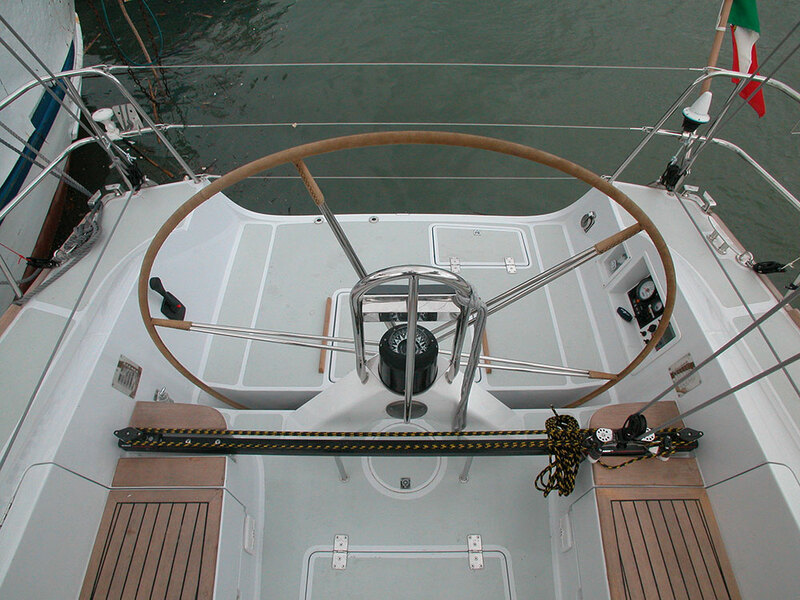 The bow sections are very slender. 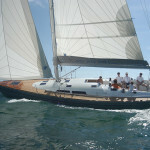 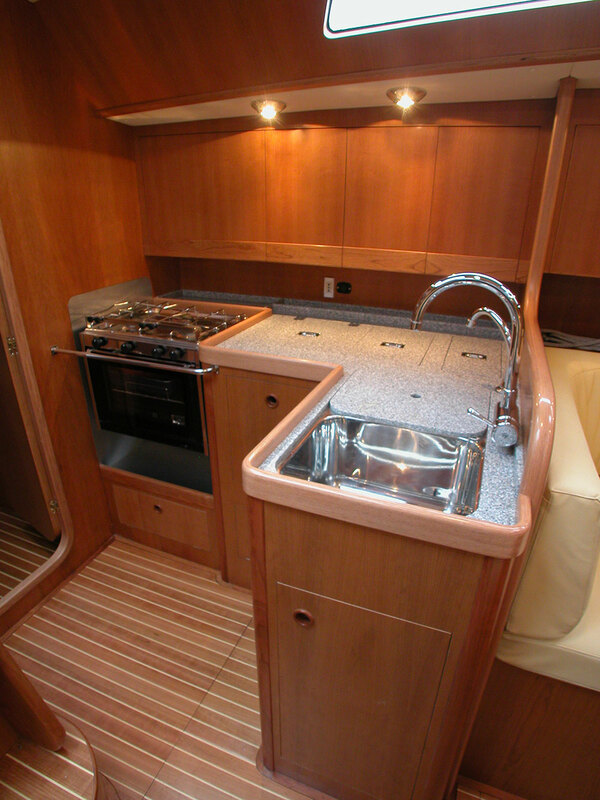 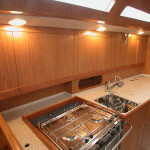 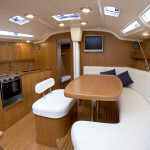 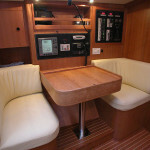 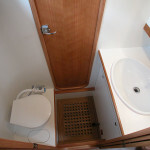 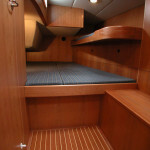 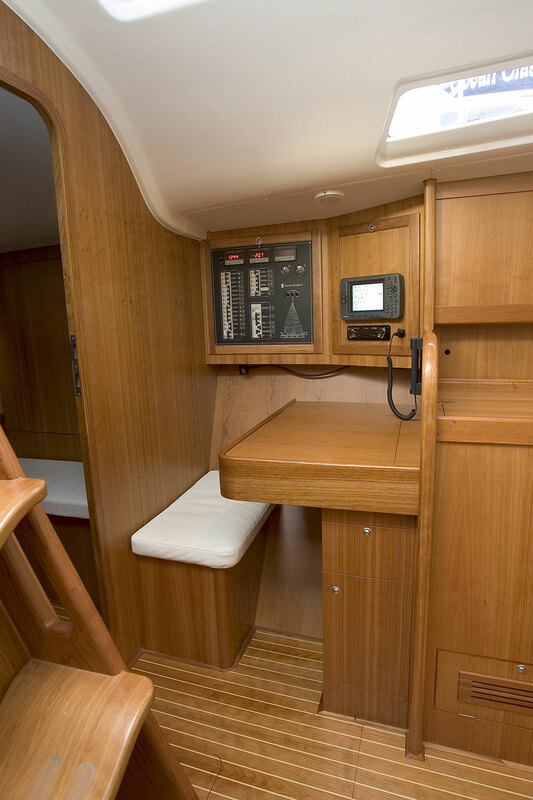 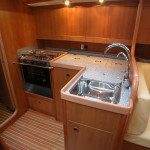 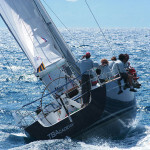 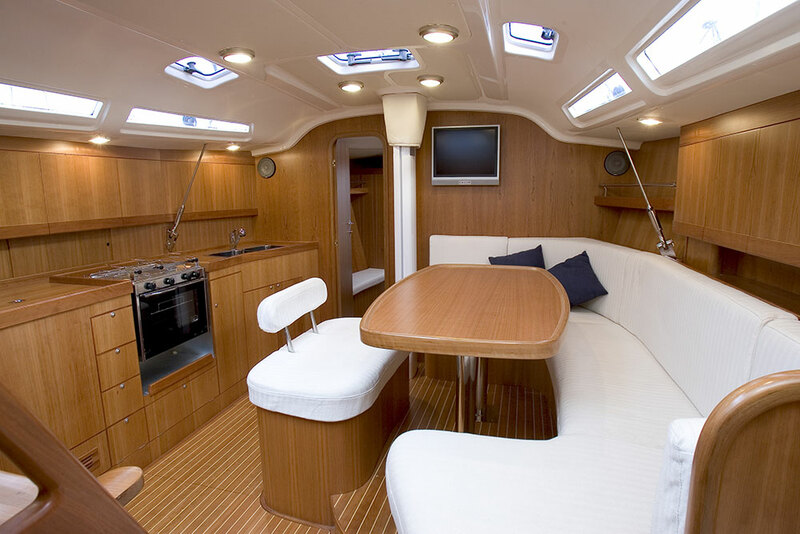 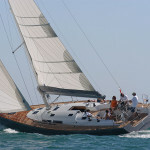 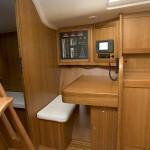 The craft’s high freeboards mean that the deckhouse could be kept low and compact. 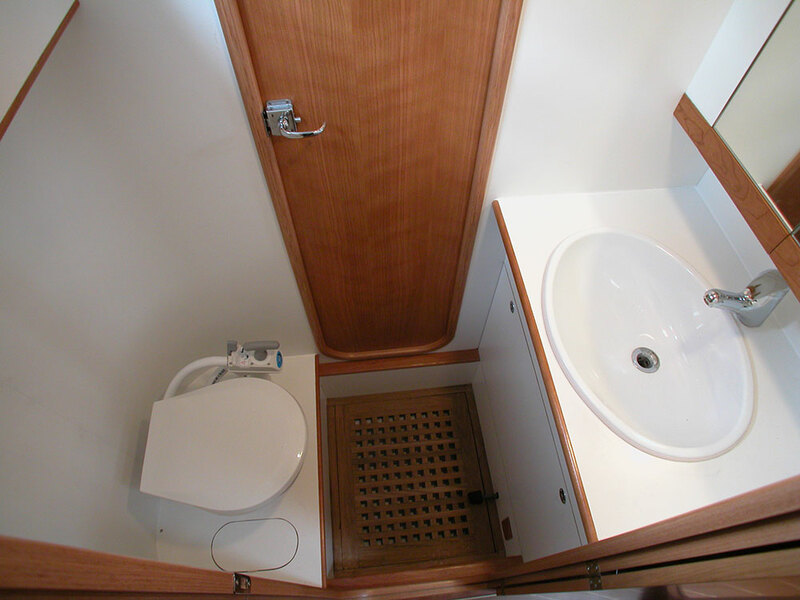 It also boasts characteristic “loop hole” windows. 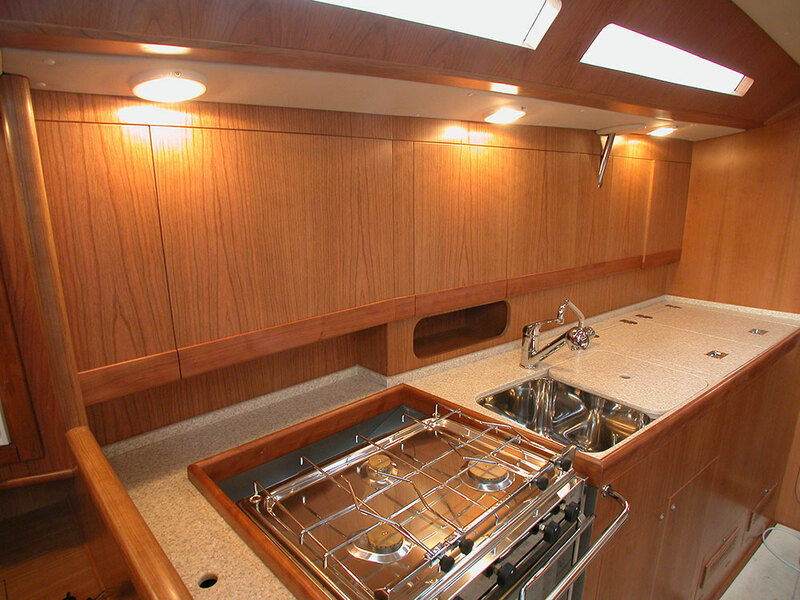 A medium to light displacement translates in to excellent performance with a full cruising load. 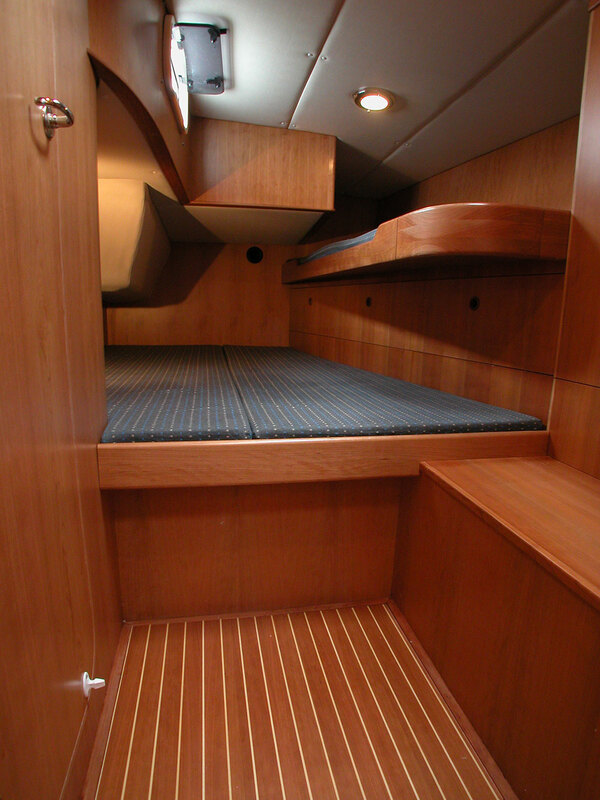 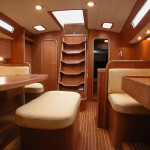 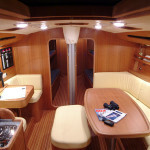 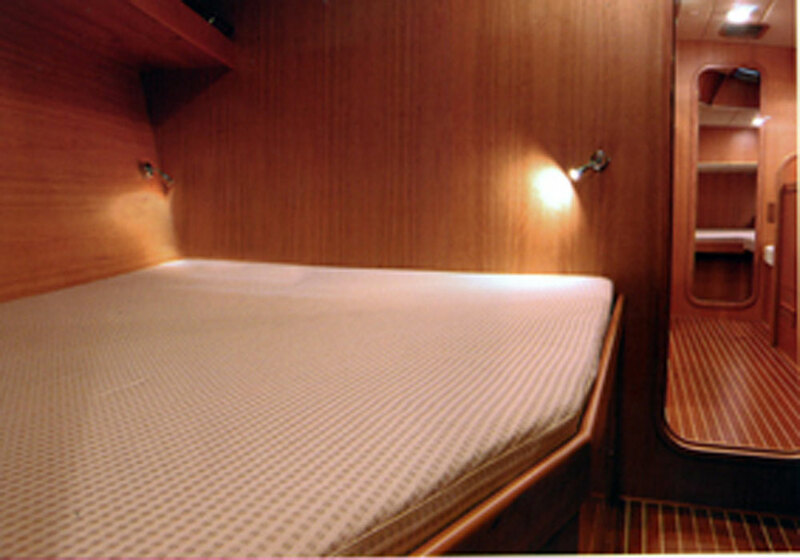 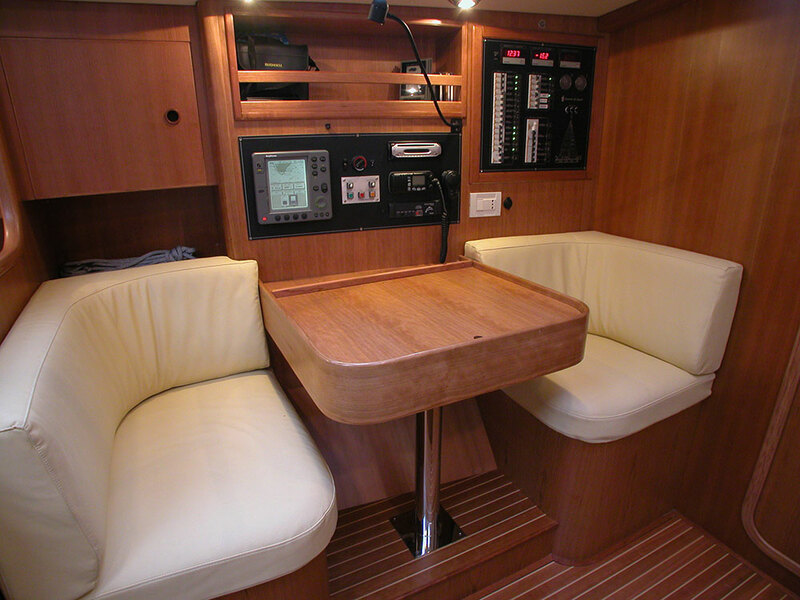 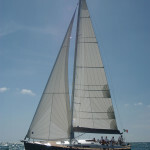 The deck offers wide gangways and a very large cockpit that extends all the way to the open transom. 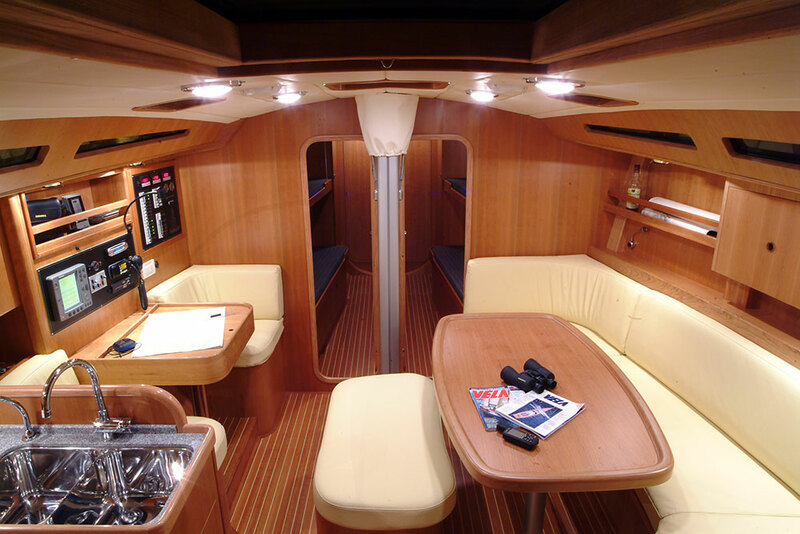 The interior layout is quite particular: the central position of the head allows for great freedom in organising the saloon without interfering in any way with the clean exterior lines.